RENO, NEVADA, UNITED STATES, March 18, 2019 /EINPresswire.com/ — RENO, Nevada (March, 2019) – The Economic Development Authority of Western Nevada (EDAWN) will host the inaugural Reno Venture Conference in an effort to increase early stage investment in the local economy. EDAWN received a grant from the Office of Innovation and Entrepreneurship, within the U.S. Economic Development Administration, to launch a Reno-based seed fund and venture conference. The grant focuses on encouraging more investment into local startups. 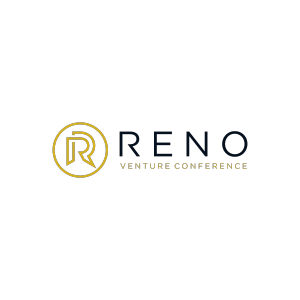 The Reno Venture Conference, which is partially funded by the grant, will be May 14 and 15, at the Nevada Museum of Art. The conference will begin with a keynote from Ray Muzyka, former Co-founder and CEO at BioWare and an active angel investor at ThresholdImpact. Startups who are currently seeking capital are invited to apply to pitch via Gust, a global SaaS platform for entrepreneurs to found, manage, and fund new ventures. Companies who are selected to pitch are not guaranteed investment, only the opportunity to compete for funding. Upon conclusion of the conference, funding amounts, provided by several participating angel funds, will be announced. “We see entrepreneurial and startup technology jobs as a growing part of our economy over the coming years,” said EDAWN President and CEO, Mike Kazmierski. “Seed capital provides a critically important resource for startups to launch and gain market acceptance, before seeking growth capital from outside our region. I am excited for the potential of this conference as it’s an important component in fostering additional deal flow for our area,” Kazmierski said. Registration for the event is now open. For more information and to purchase tickets, visit renoventureconference.com.